Antiques aren't all you'll find on Main Street in Ellicott City. If you're looking to decorate your home, you can find a mix of modern and forward-thinking items among the traditional furniture and knickknacks. Who knew such a distinguished-looking chair could be so cozy? This black leather scroll chair and ottoman (right), available for $850 from Su Casa, let you get comfortable enough for a solid nap ("It's a sleeping chair," one customer exclaimed) while making your room look snazzy instead of sloppy. Su Casa is at 8307 Main St., Ellicott City. Call 410-465-4100 or go to esucasa.com. Also at Su Casa, these pillows in serene blue and sunny orange will give you the feel of the beach even if you can't make it to the shore. The pillows, by Phi, have woven fronts featuring seahorse and anemone designs and velvet backs. $60 each. Add a bit of old-fashioned whimsy to your dressing table with this blue Czech glass perfume bottle from J. Pesnicak, available at Taylor's Antique Mall for $80. But if this doesn't match your color scheme, with three levels packed with wares from various vendors, Taylor's is sure to have something that complements your decor. Taylor's is at 8197 Main St. Call 410-465-4444 or go to taylorsantiquemall.com. Bring some authentic antique charm into your home with one of the reclaimed stained-glass windows sold at Caplan's Antique Showroom. "These are antiques they don't make anymore," says a sign on the wall alongside the stacks of framed windows. "We expect the supply to end within 2-3 years." The piece pictured sells for $493, but prices (and sizes) vary. Caplan's is at 8125 Main St. Call 410-750-7678 or go to caplans.com. Modern shapes meet modern (and green) sensibilities in this mirror from The Good Life Market. With a frame made of recycled newsprint, the mirror ($350) can make you feel good about how you're treating the planet while it amplifies the size of your room. 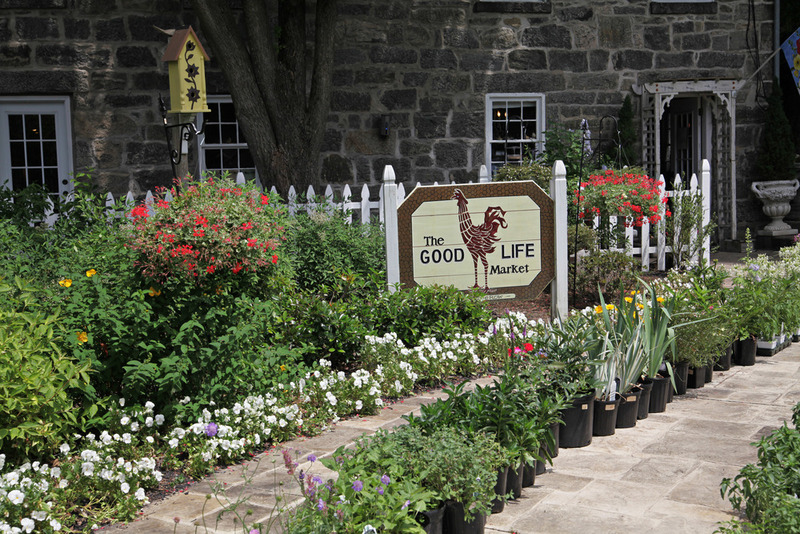 The Good Life Market is at 3752 Old Columbia Pike, Lot D off Main Street. Call 410-480-4324 or go to thegoodlifemarket.us. Note: This story ran on Page 2C of the June 19, 2010 At Home section of The Baltimore Sun.